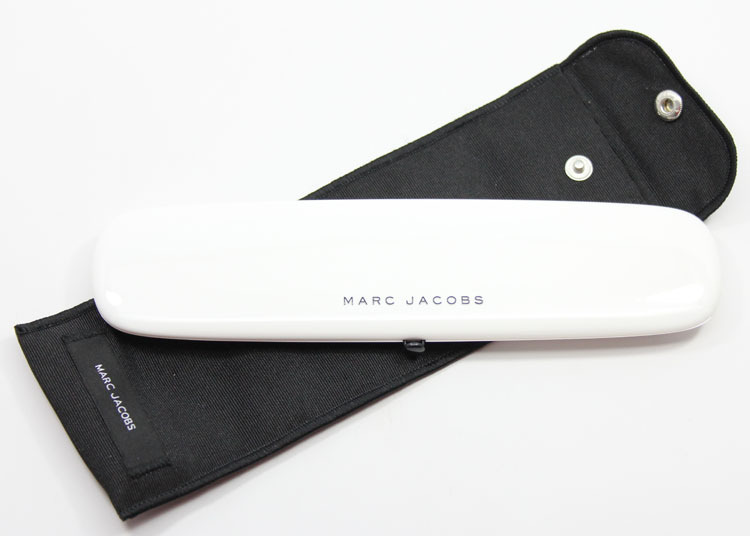 Marc Jacobs Style-Con No. 7 Plush Shadow The Siren is my first ever Marc Jacobs beauty product, can you believe it? Some of the nail shades have tempted me here and there, but I never feel like plopping down the cold hard cash for them for some reason. 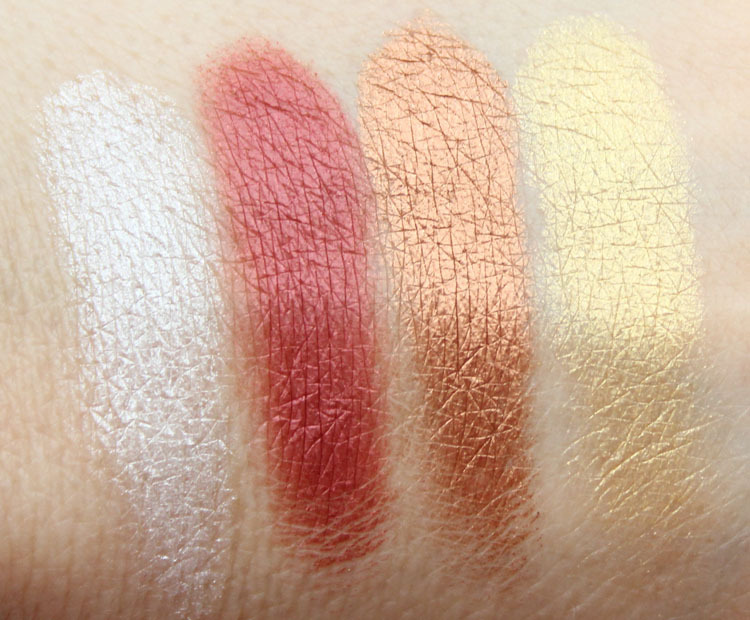 But this palette? It had me at hello when I saw it online at Sephora. The Siren comes in a beautiful shiny white palette inside a black pouch. I believe all the other palettes from him are black, so this one really stands out. It reminds me of an iPhone! Maybe subconsciously that’s why I bought it. 😉 It features seven shimmery shades, with nary a matte in sight, which can be both good and bad. 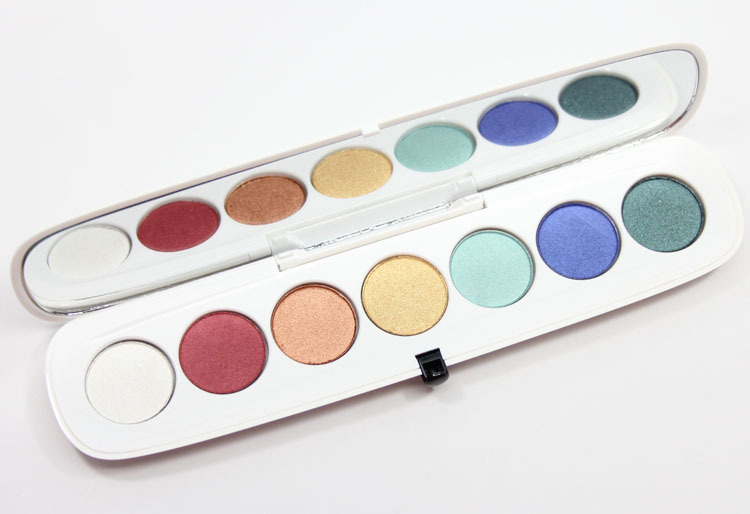 Good if you love pigmented shimmers, but bad of you want just one palette for your whole eye. There are no names for the colors inside, but you do get a nice wide mirror and it clicks shut with a very satisfactory snap. The first shade is a bright white. The second shade is a rusty red. The third shade is a copper. The fourth shade is a soft gold. The fifth shade is a seafoam. The sixth shade is a vivid cobalt blue. The seventh shade is a smoky deep green with micro-glitter. At $59.00 this palette definitely isn’t cheap and it’s actually one of the most pricey ones I have ever purchased. Having said that I don’t regret a thing. I love not only the way the palette looks and feels, but the shades are really nice. They are very soft and it’s really easy to pick up a good amount of product and blend it out. The pigmentation is really good. 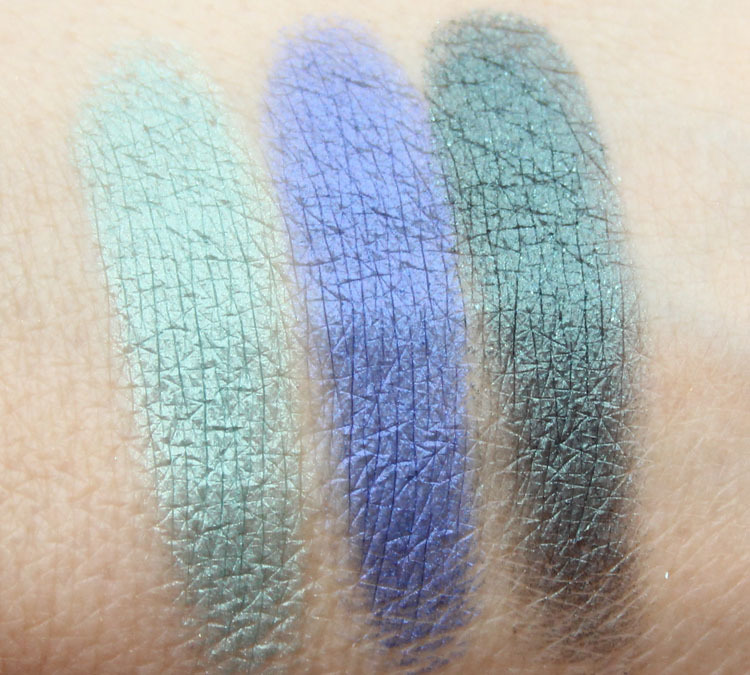 Part of me wishes there was a matte vanilla shade for the brow bone or maybe a matte taupe for the crease, but I think it would ruin the overall effect of these shades together. 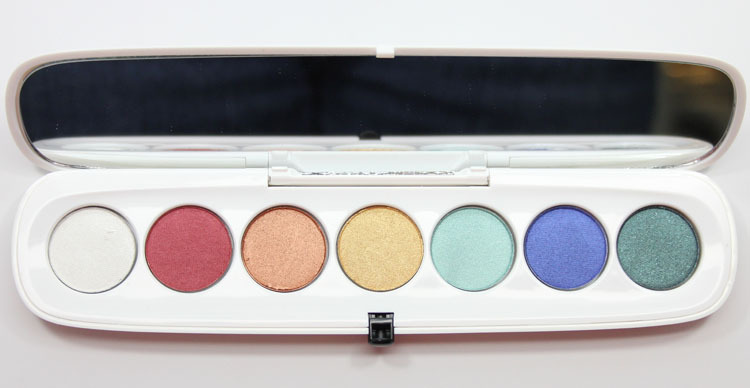 If you are looking to splurge a bit and love bright eyeshadow shades, this might be one to check out! Julep Nail Parlor Holiday Colors Set Giveaway!